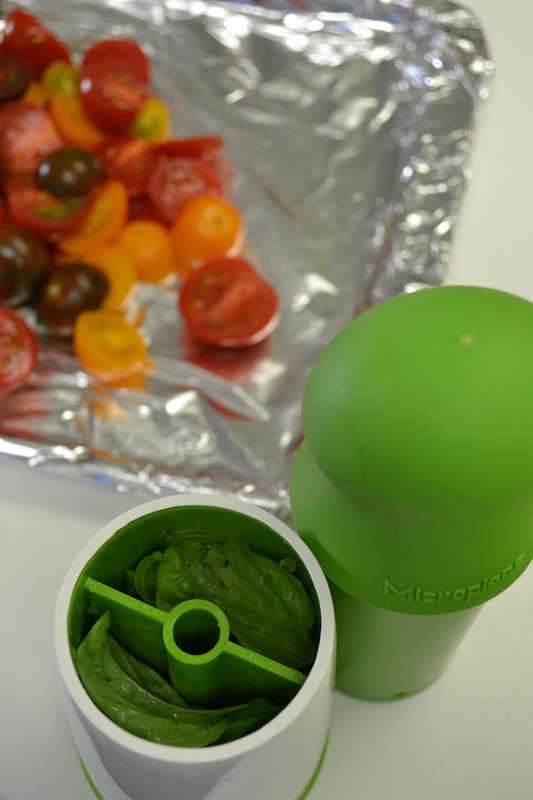 The Microplane Herb Mill: just stuff, smash, and twist. I wasn’t sure how often I would use it when I first received it as a gift, but now that my basil plant has turned into a “basil bush,” we’ve been adding fresh basil to pretty much everything. Quick egg scrambles, grill marinades, roasted vegetables, and salads. It’s nice to be able to wonder out to your garden every night and pick fresh herbs [Garden Tip: continue trimming the blooms off your herb plants, and they’ll continue to grow. Letting them bloom and continuing to bloom, and they’ll stop producing. If you don’t use the blooms, toss them back into your garden, as adding organic matter back into the soil increases it’s quality]. Happy Herb Milling! 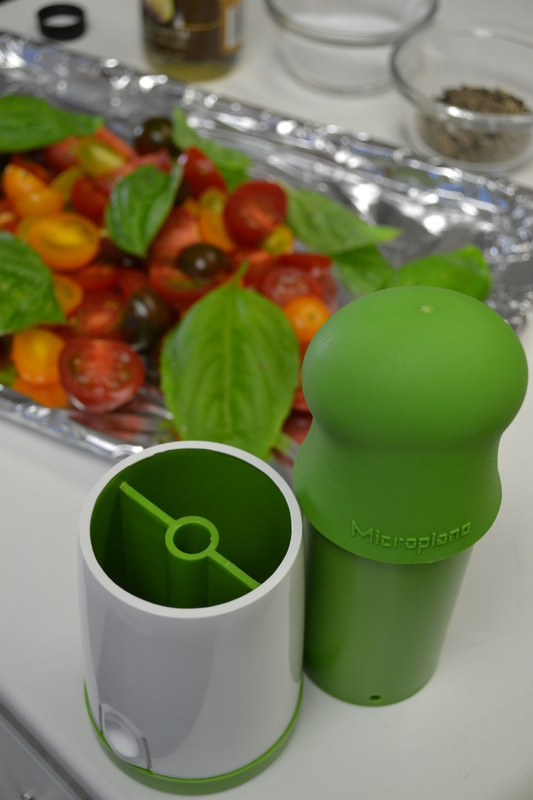 This entry was posted in Kitchen and tagged Basil, Herbs, Kitchen Gadgets, Microplane, Milling by livinglikelinds. Bookmark the permalink. 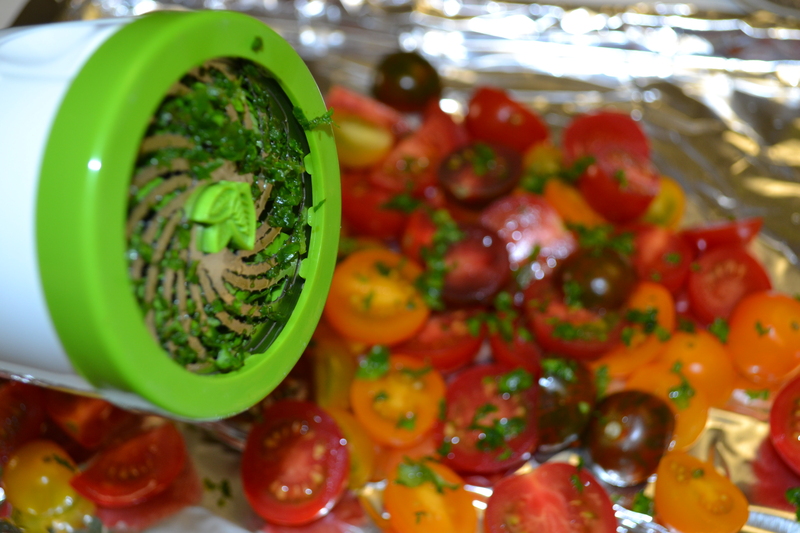 I’m glad you like your herb mill!